Anyone else super excited about celebrating the holidays in all its glorious fashion? I love getting dressed up and doing things like coffee with friends, attending parties, and sitting fireside with holiday cocktails with those I love. I have been very into the classics lately ... as in classic music, classic movies and wearing classic pieces, even more than usual. I have found myself craving more loafers, more classic sweaters, and an all black outfit with a twist. ps ... how amazing are those shoes? All the details of how to create them are here in this blog post! I have two trips this week, starting today, and I found myself craving an all black outfit with fun shoes and a cape for an evening event this weekend. I was gathering the pieces I needed and realized I was craving a new fun shoe to take with me. like the pair above that my dear friend Ashley owns. After scouring my favorite shops I found so many I loved I knew I couldn't be the only one who loves a fun, fabulous shoe and I had to share. 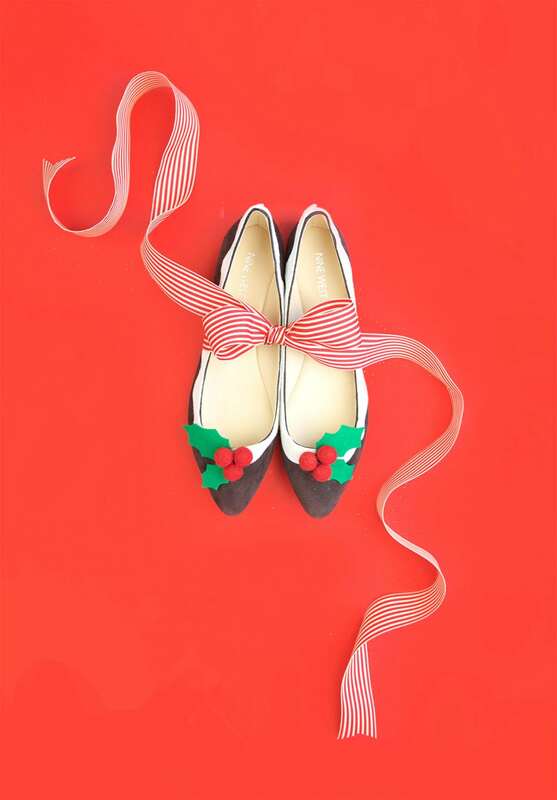 I was looking for a mule so all I found for you are flats, but they are the most darling shoes and all perfect to complete a holiday outfit. They may be flats, but they are anything but simple. So for the title ... how about these amazing ones with pink bows ... these plaid with darling bows ... or these with the most beautiful gold tassels ... and these with bees. How do you decide when they are this good? Some of them have such a great price point you don't have to worry about breaking the bank ... you can add more than one in your cart. And just in case you are jacket and cape obsessed just like I am, I have found the best options for you at the most incredible prices ... I have both plaid ones and love them so very much! !